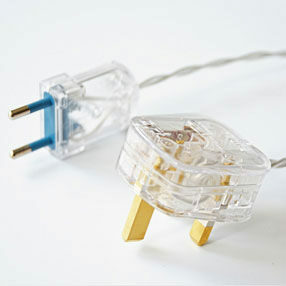 Transparent plastic twisted covered Light Cable ideal for wiring table and ceiling lights particularly Chandeliers & other Crystal Glass Fittings. 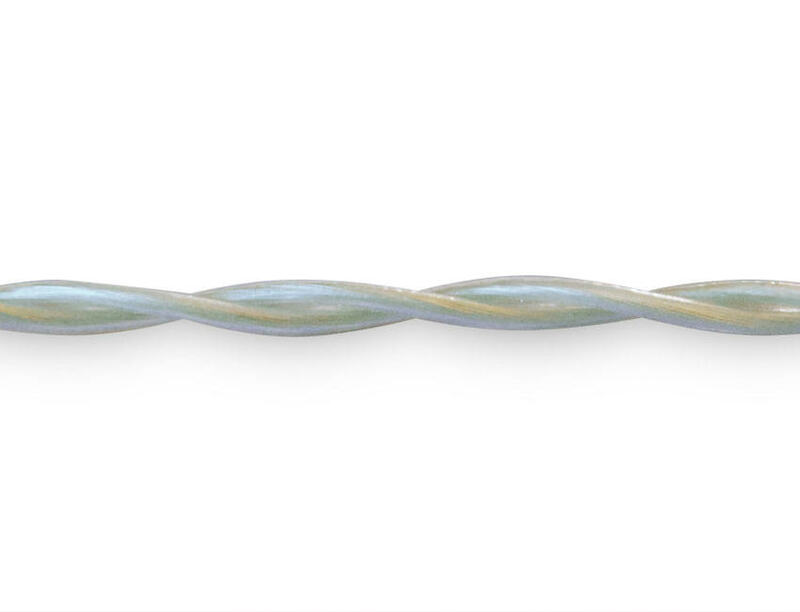 This 2 core twisted braid flex (4.7mm diameter) is unearthed and suitable for use with non metallic light fittings only. 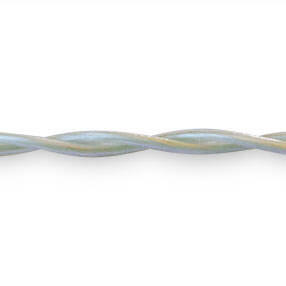 0.50mm², 3 amp, 300 volts and made in the UK to British Standards BS7655 & BS6500. To enable the clear look, the individual wires are not coloured, therefore you will need a voltage tester to establish which of the wires are live and neutral. If you require more info please see our Flex Information page.